We specialize in tree cutting and felling and approach each job in a professional and safe manner. Each felling job presents its own unique set of challenges. Tree felling is a high risk field and the safety of our client and that of our staff is a top priority. We use modern up to date processes and safety equipment to get the job done professionally and safely, every time. Call us today for a free quote. All activities fully insured for every possible risk. We service the East Rand, West Rand, Northern and Southern suburbs. 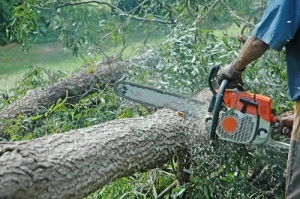 Our services include Tree Felling, Pruning, Bush Clearing, Earthmoving, Rock Blasting, Tree Cutting and Stump Removal.